While you may have gotten sick of all of the “Virginia Residents, Please Call the Governor and ask him to sign SB 1381” notices, I dont apologize for posting them over and over on WordPress and other social networks. When you have a passion inside you, it burns like an eternal flame…only longer. When lives are at stake, the time for jerking around is over and the time for action is yesterday! Virginia Governor, Terry McAuliffe SIGNED SB 1381 into law recently, and I want to say THANK YOU to everybody who helped. You are heroes. Because of you, THOUSANDS of beautiful Pets will be saved every year. There has never been a shortage of good hearted pet lovers, who consider pets family (rightly so, because PETS ARE FAMILY). But sometimes, we fall into that, “Well, I’m just one individual..what difference can I make?” trap, and do nothing. When thousands of other “you’s” are doing the same thing, YOU are an army, that can accomplish anything you desire. SB 1381’s Passage & Signing proves that. Another reason why SB 1381 was so important, was because it was historical. You see, alot of people dont realize the nauseating amount of politics, lies, greed, and public relations considerations that permeates society’s status quo, no matter the institution, be it the Military, Wall Street, Pharmaceutical groups, TV Networks, Religion, Newspapers, Hollywood, and yes, some “Animal Rights Groups”. Everybody is looking to “sell” their “product”. And you cant sell a product that makes people sick or mad, can you? Thus, the frauds within the animal rights community…frauds like PETA, the HSUS, the ASPCA and death camps for pets with the words “Animal Shelter” printed on their facility, aren’t going to be honest with you…honesty doesnt sell. Bullflop sells. Because when you are talking about money, dignity and honor go out the window and in flies the blood sucking vampires known as greed, deception, corruption, and murder. Many people dont realize that the very groups who are considered to be “friends of animals” are, in fact, the enemies of animals, who seek to harm…indeed, MURDER animals. But “how can that be? They do so much for animals?” some might respond. SEE how good those public relations people are? They’ve got half of society brainwashed into believing that a group is ‘shinola’, when they are in fact, sh*t. But a good salesman/woman can make sh*t look like 24K Gold if they are talented, and deceptive enough. Lets use, as our prime example, the ANIMAL MURDERING FRAUDS known as PETA. Do you know that PETA fought SB 1381’s passage and signing with the viciousness of a honey badger on a bad day? It’s true. Think about that……PETA…a group “that does so much for animals” or so some are brainwashed into thinking, OPPOSED LEGISLATION THAT WILL SAVE THOUSANDS OF ANIMALS! So, what a group *says” isnt worth the paper we wipe our a$$es with. It’s what you DO that defines you, and PETA’s actions on SB 1381 and MANY other Animal friendly Bills define PETA as a bunch of fraudulent, unethical, homicidal cultists, who seek to MURDER animals, instead of saving them. PETA spent the animal lovers’ DONATIONS, not on saving animals, but on trying to be able to continue to KILL ANIMALS! They even hired (with donor money, that donors think goes to “doing good for animals”, but which in fact goes to “killing legislation, so that PETA can continue to KILL animals”) a well known, and POWERFUL lobbyist to try and use their “influence” to kill SB 1381, knwoing that it would also kill thousands of animals every year. That is the main reason why SB 1381 was created in the first place: To stop this group that donors think “does so much for animals” from KILLING HEALTHY/TREATABLE/ADOPTABLE ANIMALS! Where is PETA’s headquarters: VIRGINIA. What is SB 1381: VIRGINIA State Legislation. Understand now? There is a lesson to be learned from this: JUST BECAUSE SOMEONE FLAPS THEIR GUMS, AND HAS GOOD PUBLIC RELATIONS PEOPLE SELLING THEIR “PRODUCT”, DOESN’T MEAN THAT THE PRODUCT IS WHAT IT IS ADVERTISED AS BEING. PETA’s modus operandi is classic: They exploit animals, (such as those on fur farms, factory farms, etc) so that good hearted animal lovers will be drawn in by the group’s pleas to “Help these poor babies”, while including a donation button at the bottom of the page. PETA doesnt actually DO much to save these animals….taking off their clothes on a New York Street Corner will not save that Fox about to be cruelly killed in China. Not one Cow has been saved from slaughter because PETA used their millions of dollars to purchase the slaughterhouse and agreed to pay the employees NOT to murder animals (which PETA has the money to do) so that they could turn it into an animal sanctuary……not one Orca or Dolphin has been driven out of Seaworld in a tank of water on a giant truck and taken back to their rightful place in the ocean by PETA. But PETA’s goal isn’t to save cows from slaughter, or dolphins and orcas from Seaworld…if that WAS their goal, they would use their multi-million dollar bank account and put their money where their mouths are. No, their goal is to show animals suffering in terrible ways in order to make you enraged and sad, to the point that the “Donate Now” button on the bottom of the page looks like a warm blanket on a sub zero degree night. THAT is exploitation. PETA makes as much money showing off suffering animals, while inserting a “donate now” button below the heart wrenching photos, as Seaworld does making Orcas and Dolphins jump out of the water for a little fish and meaningless approval of the crowd who doesnt know better, and who paid to see the “show”. SB 1381 WAS CREATED TO PROTECT ANIMALS FROM PETA! Now, I ask you the following question: If PETA are about SAVING animals, why was a law necessary to protect animals FROM peta? Because PETA doesn’t care about saving animals…if they did, they would have supported SB 1381. Instead they OPPOSED it and hired a lobbyist to try and shoot it down, so that they could continue to MURDER ANIMALS as much as their dark hearts desire. PETA, the HSUS, ASPCA, and others have a history of shooting down legislation that would have SAVED animals, if not for these same “animal rights groups” (PETA, HSUS, ASPCA, et al) killing the legislation, and with it, killing millions of animals in sh*tholes disguised as “shelters” ever year. Dont believe everything you think. Dont believe everything you’re told. Dont trust these anti-animal frauds. Dont believe everything you’re sold. 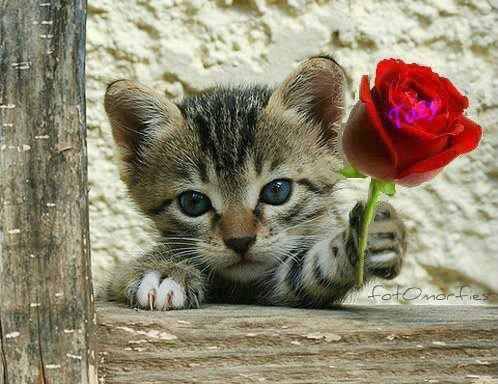 A Rose For Everyone Who Cared Enough To Tell the Governor To Save Us! Thank You For Speaking On Our Behalf. WARNING: PETA may be in your neighborhood rounding up animals to kill. Posted: January 28, 2015 | Author: SiameseCatTwins4Ever | Filed under: Uncategorized | Tags: animal rights, animals, cats, dogs, PETA, peta kills, pets | Comments Off on WARNING: PETA may be in your neighborhood rounding up animals to kill. On October 18, 2014, in Parksley, VA, PETA stole Maya, a happy and healthy dog, from her porch while her family was out. They killed her that very day. According to a spokesman for Maya’s family, PETA came to the trailer park where the family lives, where most of the residents are Spanish speaking with few resources. The PETA representatives befriended the residents. They got to know who lived where and who had dogs. In fact, they sat with the family on the same porch off which they later took Maya. Waiting until the family was away from the home, PETA employees backed their van up to the porch and threw biscuits to Maya, in an attempt to coax her off her property and therefore give PETA the ability to claim she was a stray dog “at large.” But Maya refused to stay off the porch and ran back. Thinking that no one was around, one of the employees—who was later charged with larceny—went onto the property and took Maya. When the family returned and found their beloved Maya missing, they searched around the neighborhood before checking the video on the surveillance camera. That is when they saw the PETA van on the film and recognized the woman who had come to their house on prior occasions to talk to them about Maya. They called PETA and asked for Maya’s return. According to a family spokesperson, PETA claimed it did not have the dog. When PETA was told that its employees had been filmed taking the dog, they hung up. Shortly afterward, a PETA attorney called and informed the family that Maya was dead. PETA had killed her. She may not be the only one. On the day they stole Maya, other animals went missing as well. Had a surveillance video not been available, the killing of Maya would have remained unknown, as are the fates of the other animals. In the last 11 years, PETA has killed 29,426 animals. In a dishonest attempt at damage control, PETA put out a full page ad in the newspaper. The ad intentionally misleads people about their campaign of extermination against community cats. It says nothing of their theft and killing of Maya. It does not mention the arrests of PETA employees for larceny. It does not mention that this is not the first time PETA employees have been arrested for killing animals. In fact, PETA refuses to answer questions about why they stole and killed Maya: http://bit.ly/15kRPFX And though PETA takes in thousands of animals a year, only to put the vast majority to death, the ad offered two dogs for adoption, hoping to defray criticism for their killing of thousands of others. Given that they only adopt out 1% of the animals they take in, those two dogs, if indeed they are adopted out rather than killed, will be some of the few spared from the needle. The PETA solution: dead “feral” cats in a Florida shelter. PETA successfully defeated SB 1320, a law that would have clarified that nonlethal programs to neuter and release feral cats, rather than killing them, are legal in Florida. As shelters and health departments nationwide embrace trap-neuter-release programs, PETA remains an opponent of this humane alternative to killing, arguing that healthy feral cats should continue to be killed, even urging their supporters to take them to shelters or veterinarians to do so. The PETA website states that, “the most compassionate choice is to euthanize feral cats. You can ask your veterinarian to do this or, if your local shelter uses an injection of sodium pentobarbital, take the cats there.” This shelter–following the PETA model–used “an injection of sodium pentobarbital,” killing the cats in front of other cats, catch-poling the cats as they tried to flee while they urinated and defecated all over the kennel in fear. That is how terrified feral cats behave in shelters. Apparently to PETA, this is as it should be. Several days ago, I posted that the animal rights movement may be turning a corner, as I was asked to speak at two animal rights conferences. As many of you may be aware, the animal rights movement has historically either maligned or ignored the No Kill movement, and with it, turned a blind eye to the systematic slaughter of millions of homeless dogs and cats every year. I especially hoped that one of those conferences—the World Vegan Summit —would provide a forum for those voices that have been historically silenced within the animal rights movement—voices such as my own—for being critical of those in positions of power and the policies they pursue that cause animals to suffer and be killed. In fact, some of the other speakers who will be at that conference have also criticized the movement for being top-heavy, prone to censorship, intolerant of dissent, threatened by change, and dismissive of the grassroots. Tragically, my enthusiasm was short-lived. That is because almost as quickly as I was asked to speak, I was promptly uninvited. Why? Because they took offense at a statement I made on my Facebook page. In posting that I was invited to the conference, I said I was going to challenge the animal rights position promoted by some that living with dogs and cats is a violation of their rights and we should forcibly make them go extinct “for their own good.” With the belief that the “solution” to all dog and cat suffering lies solely in the eventual annihilation of their species, the animal rights movement not only preaches a view that the lives of dogs and cats are dispensable, their loss and deliberate elimination of no moral consequence, their disappearance from our planet no tragedy to mourn, it embraces an agenda which no other rights-based movement in history has ever subscribed to: the deliberate extinction of those it has pledged to protect. We do not further the cause of animal rights by promoting a double standard between humans and non-humans. After all, the idea that we should do to animals that which we would never propose to do to humans—in this case, seek the willful extinction of a particular group of humans—is the double standard that is to blame for so much suffering and killing of non-humans. Instead, we teach respect, we teach kindness, we teach compassion, and then we work to ensure the collective obedience to those values through legal rights, a prescription for change which every other social justice movement that has come before ours has used and used successfully. Interspecies relationships in the world are not rare and they are relationships that humans generally celebrate as evidence of the interconnectedness and beauty of life on Earth. But to those who are supposed to be the standard bearers of our relationships with animals— “leaders” of the animal rights movement—such relationships are “unnatural” and therefore “bad” when one of the parties is a human being. The proposed solution? Eliminate cats and dogs from the Earth by pursuing their willful extinction. Who WOULDN’T want to save precious pets’ lives, right? It’s a no brainer. If you LOVE pets, you want healthy, adoptable pets to LIVE. Sadly, The pet murderers at the unethical PETA like to kill healthy, adoptable pets. Why? Only the demented, illogical mind of PETA’s founder, Ingrid Newkirk, who has admitted to murdering thousands of healthy animals with her VERY OWN hands, and tens of thousands of more healthy animals using her pathetic PETA organization, can answer the question of WHY? Ultimately, it doesn’t matter why PETA murders healthy pets. What matters is that they DO murder healthy pets, and that they should be stopped. YOU, the person reading this right now, can save tens of thousands of lives, and it wont even take five minutes of your time. In the last 11 years, 29,426 animals have died at PETA’s hands including those they themselves described as “healthy,” “adorable,” and “perfect.” In some cases, this includes animals they promised to find homes for, only to put them to death within minutes in the back of a van—a donor-funded mobile death squad on wheels. It includes kittens and puppies. 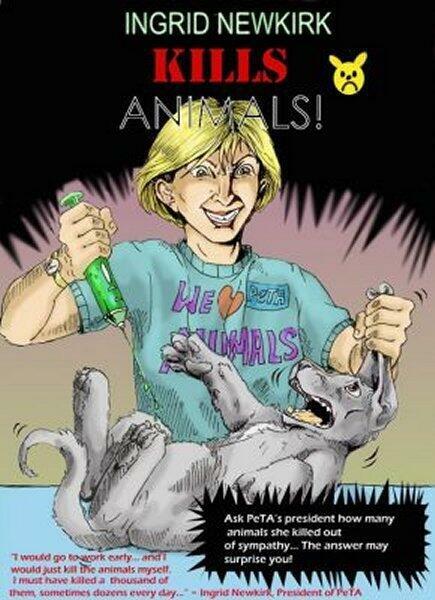 According to Ingrid Newkirk, PETA is “not in the home finding business.” Its mission is to put animals to death. PETA has no adoption hours, it does not keep animals alive long enough to find homes, and it does no adoption promotion. You can learn more in my Huffington Post expose by clicking here. How is this legal? PETA is registered in Virginia as an animal shelter. Since employees of “animal shelters” are the only non-veterinarians authorized by Virginia law to kill animals, removing PETA’s designation as a shelter will put the brakes on PETA killing. Click here for the petition filed with the Virginia Department of Agriculture (VDACS) on behalf of the No Kill Advocacy Center. #1. Please, email the above individuals, and politely ask them to grant the NKAC petition to remove PETA’s designation as an animal shelter. #2. And then spread the word, via Twitter, Facebook, Email, etc. and ask pet lovers you know, to do the same. 2. Are being “generously rewarded” for their ineptitude by PETA themselves. PETA ADMITTED TO THESE TWO GOOD FOR NOTHINGS THAT, “We Do NOT operate a shelter”. Therefore, this is IRREFUTABLE PROOF that PETA should NOT be designated as a “shelter”. That PETA remains designated as a “shelter” (slaughterhouse for pets, in reality) even though they admitted to NOT being a shelter, is strongly indicative of one of the two scenarios described above, being the likely explanation for the lazy, worthless, and possibly corrupt actions, on the part of the Dr. and his Commissioner partner in ineptitude. So, PETA’s massacre of pets continues. P.S. The Dr and his Commissioner partner in crime (the ethical crime of looking the other way as healthy pets are being murdered) announced that they would do what they did best (nothing), within 48 hours after the calls for change began, further indicating that these pathetic individuals do not care about doing their jobs, as much as they care about cashing their paychecks. But, of course, all of this is just my opinion.